This time...I got my square on! 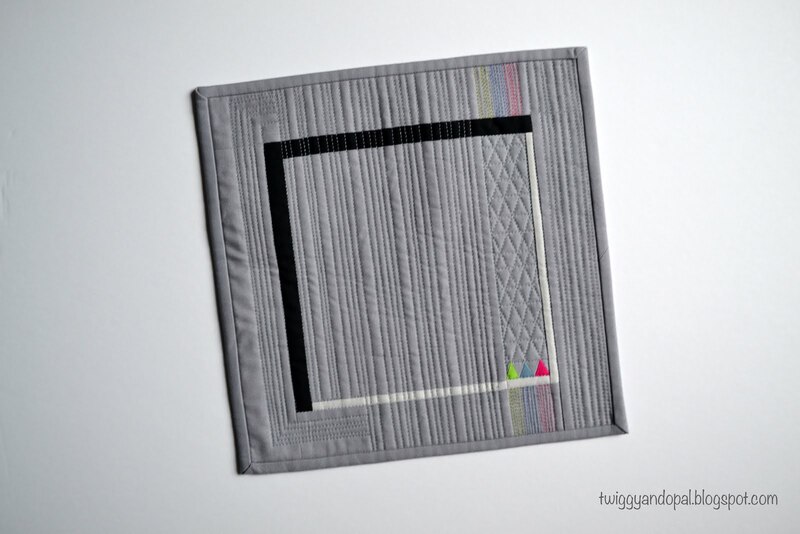 In my previous post 'Tendrils', the Curated Quilts Minimal Mini Challenge, I didn't read the rules carefully and basically disqualified myself. In the rules they specifically specify the quilt should be square. I couldn't modify 'Tendrils' to be square, so the next best thing to do is make another entry. And so I did. 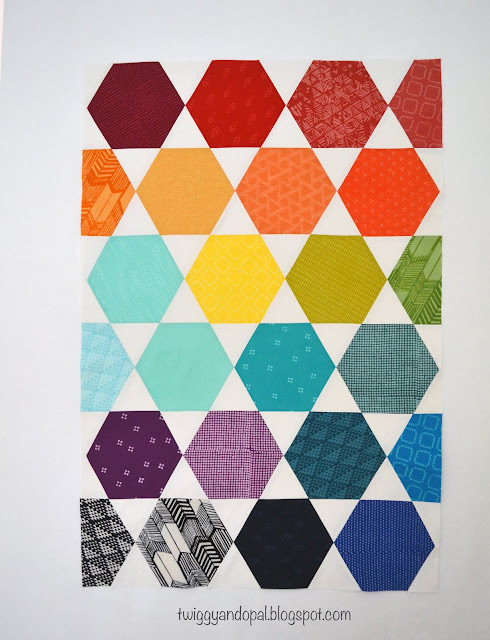 Recap of the challenge: use the specified color palette (some or all of the colors), interpret the theme and then submit your quilt via a linky. Let's not forget the square part!! This time I used a very, very small amount of the colors and relied on the overall design to carry me through. The triangles are tiny at just 1/2" high. It was a little tough piecing them together because of the size, but not in the least bit impossible. After the triangles were together I built the rest of the quilt around them. The light gray is Kona Shadow, dark gray is Kona Medium Gray and the black is Kona Black. Gray is a color I have on hand at all times. Its been my go to background and backing fabric for years. As much as I'd like to change things up I never seem to get there! What's your favorite background color? Do you find it hard to change it up sometimes? Because this was a mini, I was looking forward to giving it the quilting treatment. 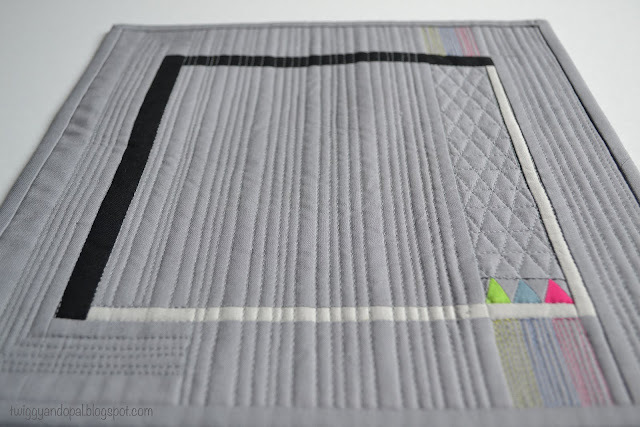 I quilted a triangle design in the section above the triangles and straight lines throughout the rest of the quilt with Aurifil Light Blue Gray (2610). The lines vary in width from 1/8" to about 1/4". I had to add a little twist to go along with the triangles! I mean, why not?! 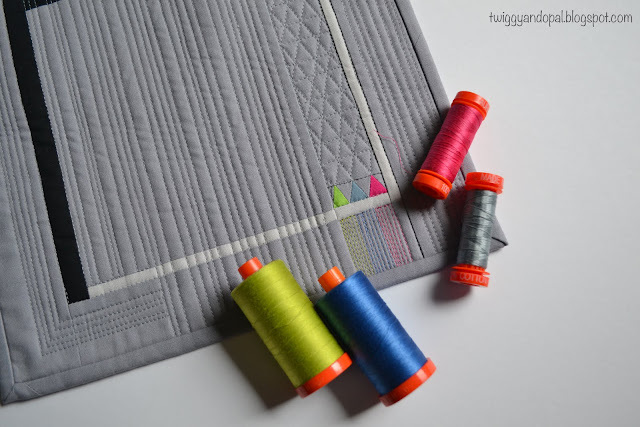 I pulled out Aurifil Spring Green (1231), Delft Blue (2730) and Blossom Pink (2530) and quilted lines above and below the triangles. I like the subtle detail. I know most people don't wash their mini's, but I do! Not this one, but 9 out of 10 I'll wash. I'm a die hard sucker for the crinkle effect! 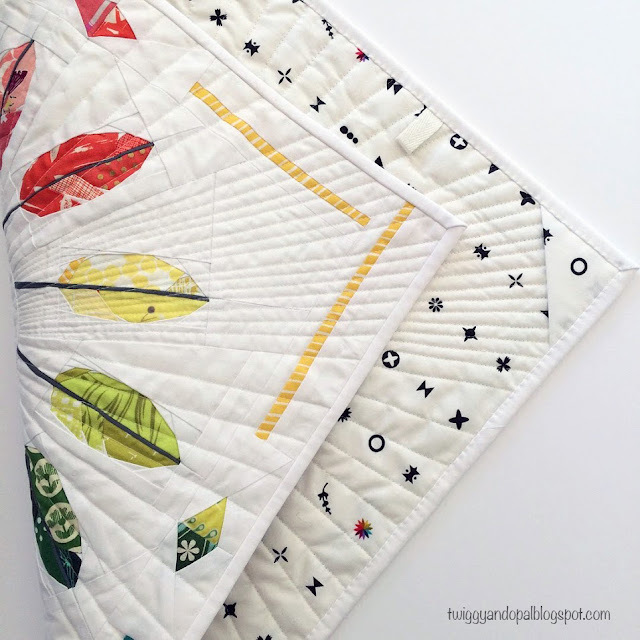 Now I can enter my quilt knowing I followed the rules and at least have a chance! 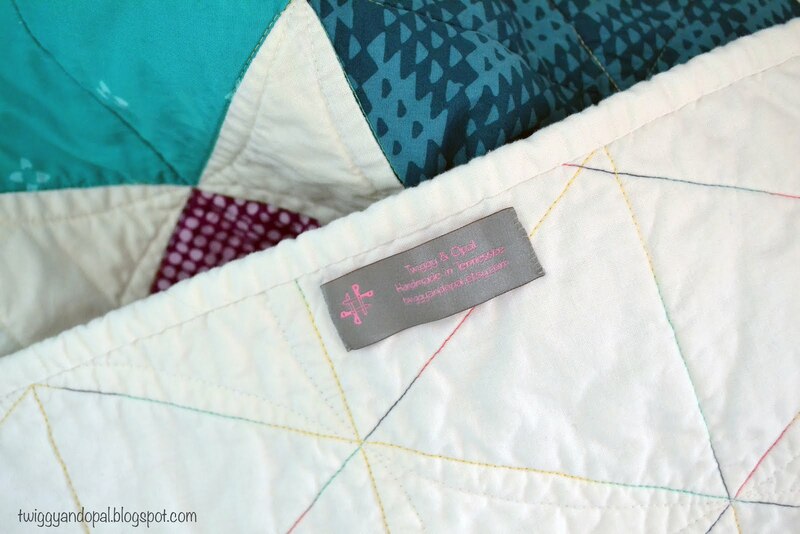 Again, the reason I love these Curated Quilt challenges is for the challenge. It gives me a boost of energy, gets my creative juices flowing and stimulates my brain! In or not...it's a worthwhile challenge. 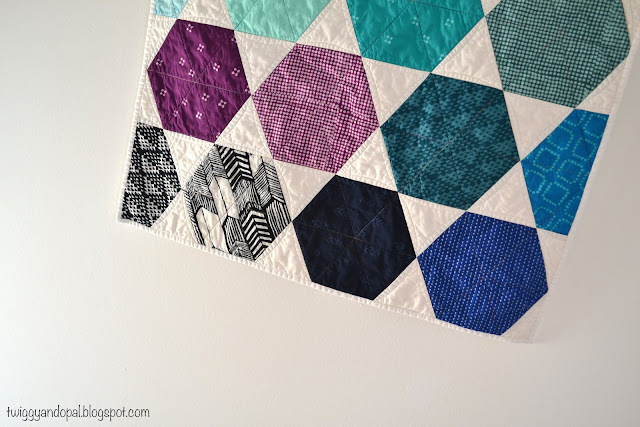 Since the Minimal Mini Quilt deadline isn't until January 10th, I may have time to squeeze another one in! Get obsessed much Jayne?! You never know! 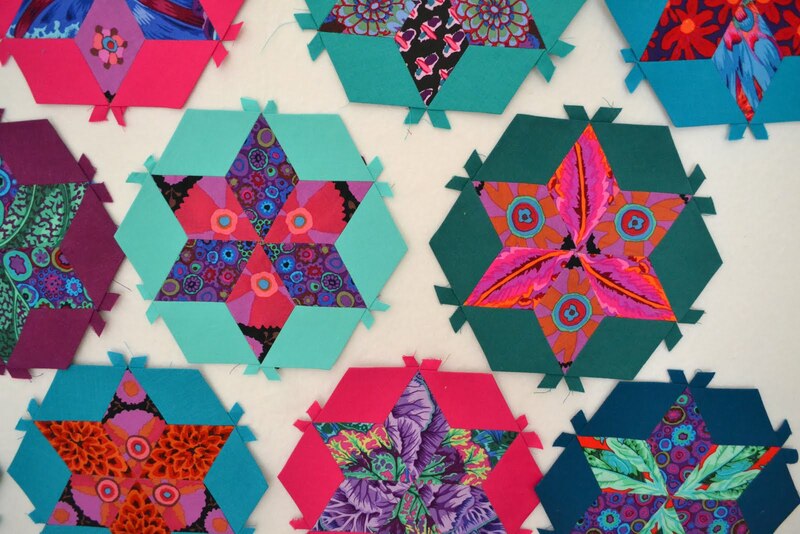 I knew the day would come when I could stop making my colorful Diamond Hexie Stars. It's bitter sweet in a weird way. I've enjoyed fussy cutting, picking and mixing prints and stitching together each beautiful hexagon. These guys kept my hands busy at night, yet it never felt like 'work'. It was happy self imposed joyful work! My last two rounds have brought this madness to an end, or maybe I should say the madness is only just beginning! Round ten happened. At this point I'm at the bottom of the barrel of my Kaffe Fasset fabrics. All my pieces are looking like Swiss cheese and find three sections for the diamonds in one fabric is becoming a challenge. Last round, round eleven. At least at this point I think it will be my last round. I won't know until I decide on a layout and size. Which brings me to the next step in this long saga. I ended up with a layout similar to this one. By similar, I mean I've arranged, rearranged, added rows to the top, bottom and sides...removed rows, moved, turned and twisted. Similar. The one thing I was certain of before deciding anything, was there would be triangles added to give the blocks some much needed space. A place to rest your eyes because as you can see, it's a little busy! But what should the background triangle color be? I'll tell you this, Instagram is a great place to ask for advice because you get answers immediately! 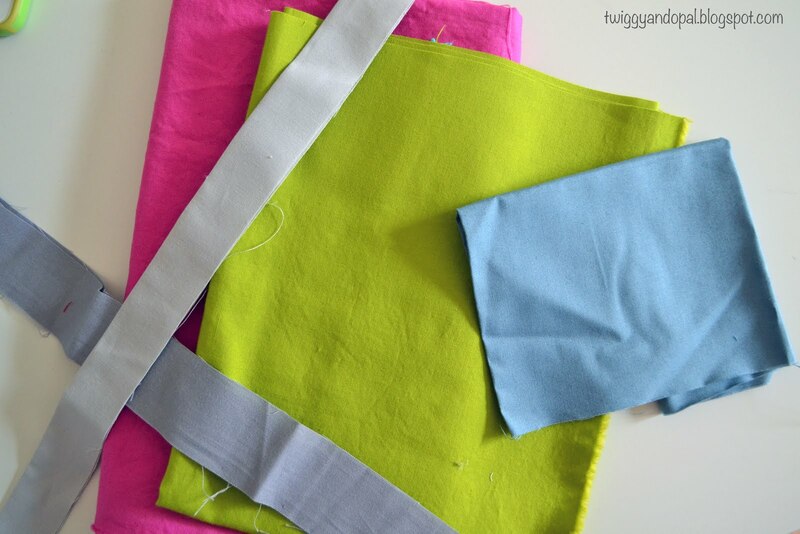 We debated white, light grey, dark grey and even some blues and teal. All of which I considered. Just when I was about to settle on one...I flipped the script! I went with my first idea, one that I decided against because I thought it was too predictable. It was, but it was the best option by far. Black. Well, to be more accurate Kona Pepper which is a softer version of black black. It makes the blocks shine, stand out or as they say in quilt talk 'pop'! I guess there's a reason why they say you should always go with your gut or first instinct! Back in August when I started this project, I didn't have any intention of taking this far. It was just a project to help me through a sad period in my life. By half way through, I was pretty much obsessed and couldn't stop. Towards the end I started having a vision of sugar plums dancing in my head...in the form of a quilt...all hand stitched. 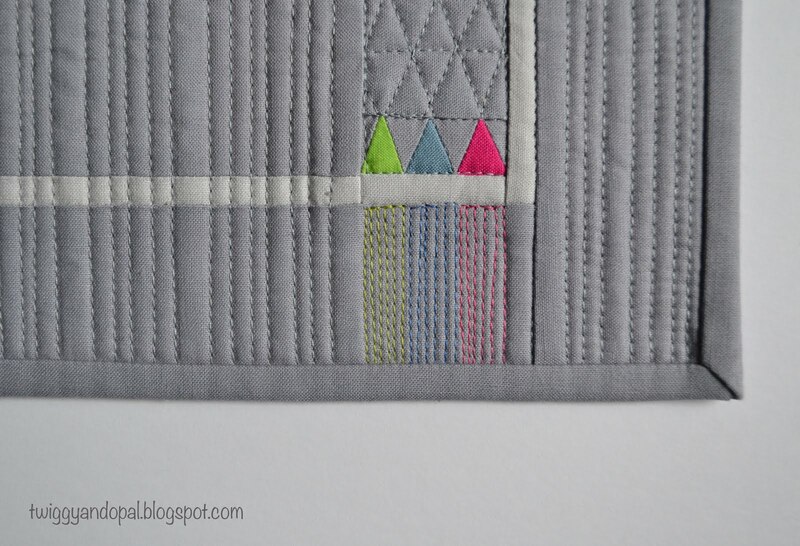 I've just started stitching the triangles to the blocks. Slowly and steady, this may take a while! Hand stitching each piece, each block and each triangle is certainly in the category of 'are you serious?'! 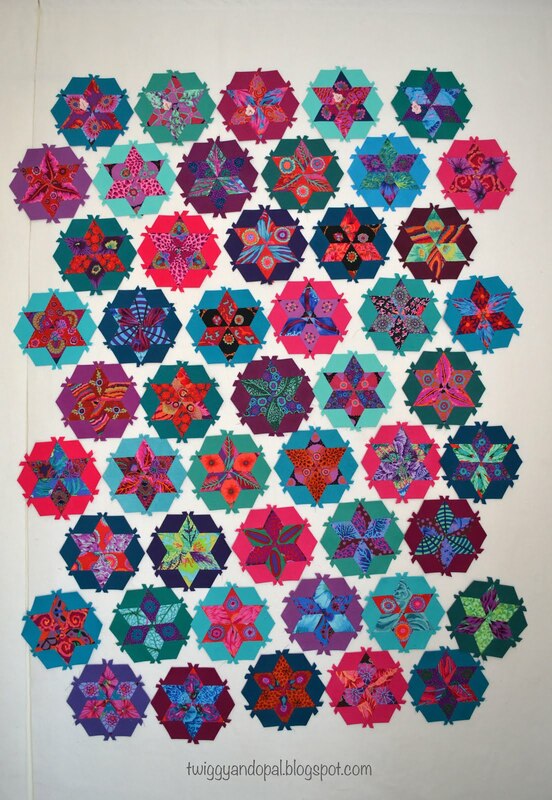 When I feel like I have lost my ever loving mind...I think about vintage quilts that were all hand sewn. I can do this! 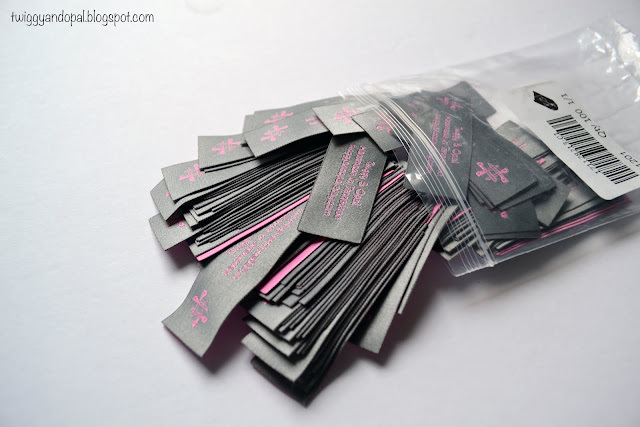 I had been thinking about investing in woven labels for quite some time. Should I upgrade, should I not. When the opportunity arose...I pretty much pounced! The Dutch Label Shop contacted me and asked if I'd be interested in trying their labels and giving my perspective about the product. By saying yes, they generously provided me with a coupon for the labels, and with that I was off to the races! I seriously don't get chances like this and it can totally mess with my mind! I have a hard time designing things like labels, business cards, blog headers and such. My vision is limited and apparently not very developed! Label Size: 3/4" x 2 1/4"
I was so excited when my little package arrived! I ripped it open! I was thrilled at how quickly the labels arrived. It was about seven business days. I assumed something like woven labels would take much longer. How I came to that conclusion, I haven't a clue! I have using satin fold labels for years and decided to try 'sew on' labels this time. The Dutch Label Shop site is very easy to navigate. I went with basic labels. 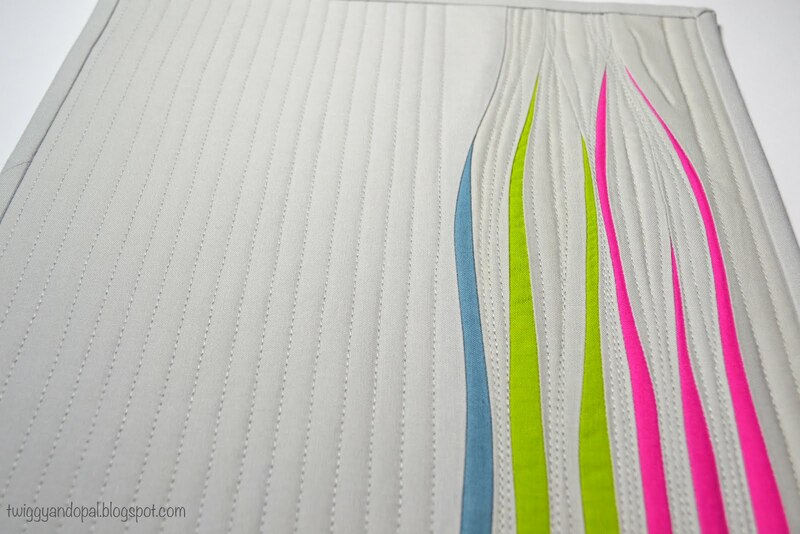 You pick your size, label color, font color and font and a stock logo or not. Pink has become my favorite color lately, and so let the font be pink! 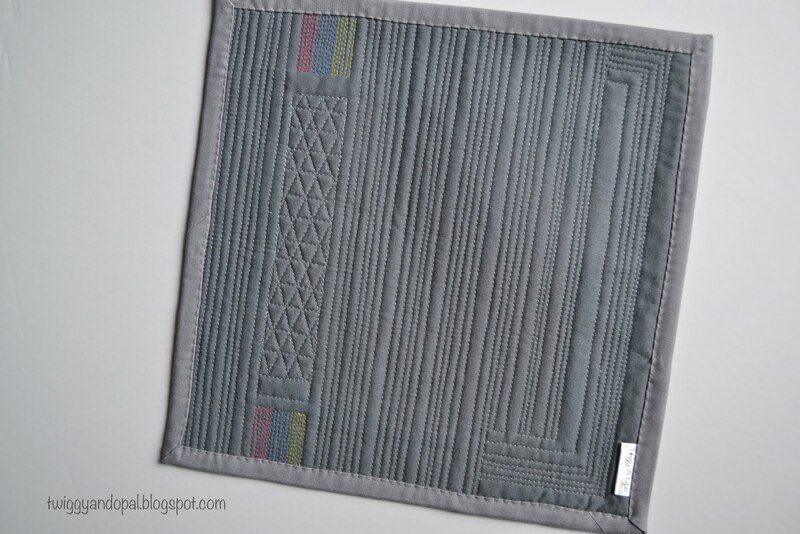 And since the majority of my quilts use gray of some shade or another, I went with a gray background. Like I said, I'm no graphic designer! But I felt like one while I was designing these. You've probably noticed that I don't have a logo all my own, so I used one of the stock images. 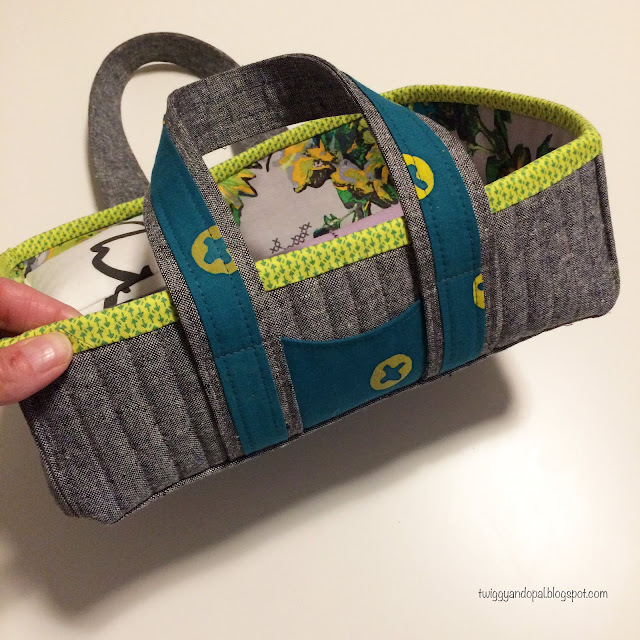 It doesn't have to be sewing related. There are a very good variety in many different categories. 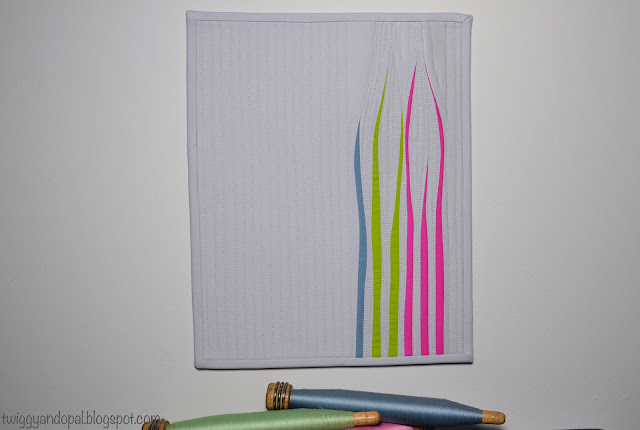 I am use to tucking my fold tags under the binding when sewing them on, so having to hand stitch them is a new venture. I'm contemplating a couple different options for that step. You have noticed (I'm sure!) that these are a little hard to read. Well, in person they aren't so bad. When you add a logo it changes the font size. Be aware of that if you order. Next time I would not add a logo and I would only use one or two lines of type. That would make it easier to read I think. This is the proof of what I designed. It looks very legible here, don't you think? Don't get me wrong, I love these tags. I'm thinking they are 'delicate' and 'subdued', but pack a punch in the 'classy' department. 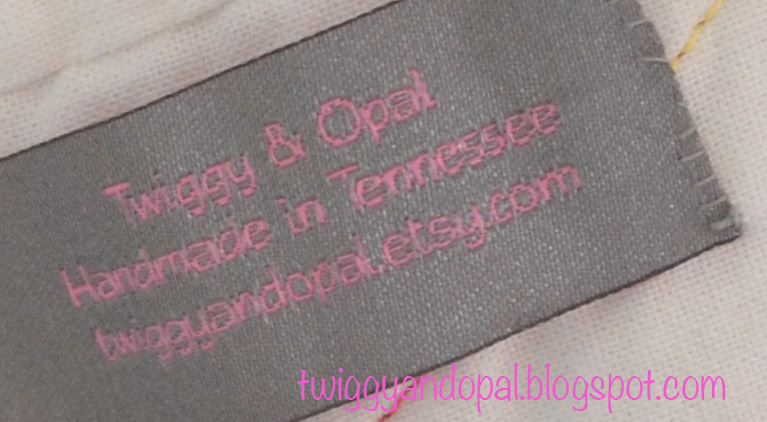 I will order more woven labels in the future, but I will go into it better schooled and prepared. ***If you are thinking about having a fancy label for your sewn goods, you can receive a 15% discount on your order from The Dutch Label Shop. At checkout use coupon code: twiggyandopal15 (all lowercase) it'll be good for the next 30 days! 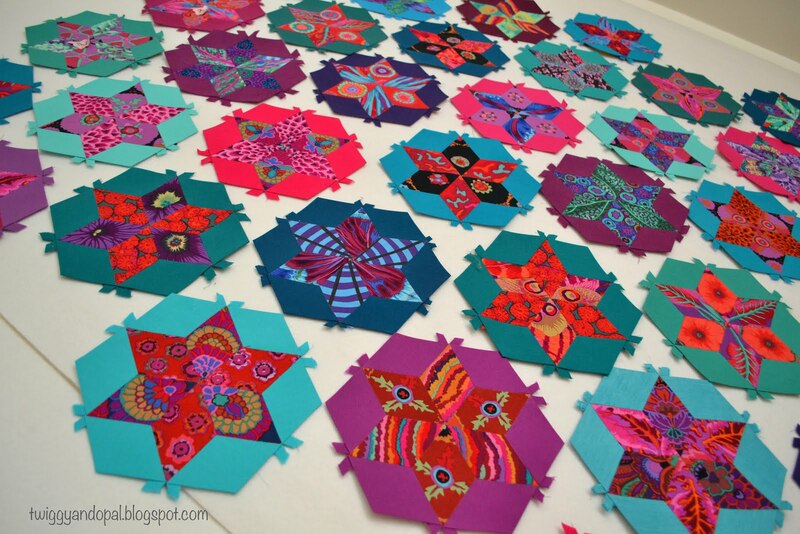 There seems to be a stigma attached to batiks especially when it comes to 'modern quilting'. 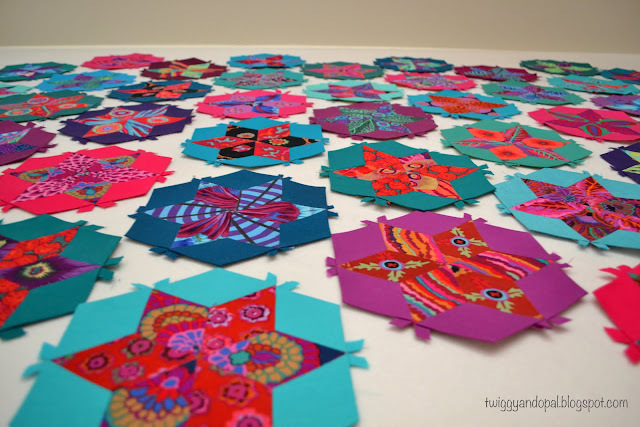 When I started quilting 10+ years ago, I gravitated towards the batik section. I'm sure it was because of the colors. They can be so vibrant! 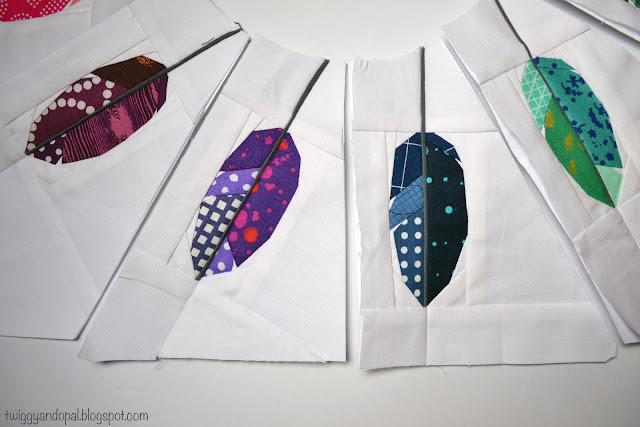 Eventually I broadened my fabric horizons and batiks fell by the wayside. precuts?! Your love of batiks don't have to be or should never be hidden. Not that you do that...I'm just saying 'modern' is a state of mind! Batiks have always had a special place in my heart because they were my introduction to the quilting world. 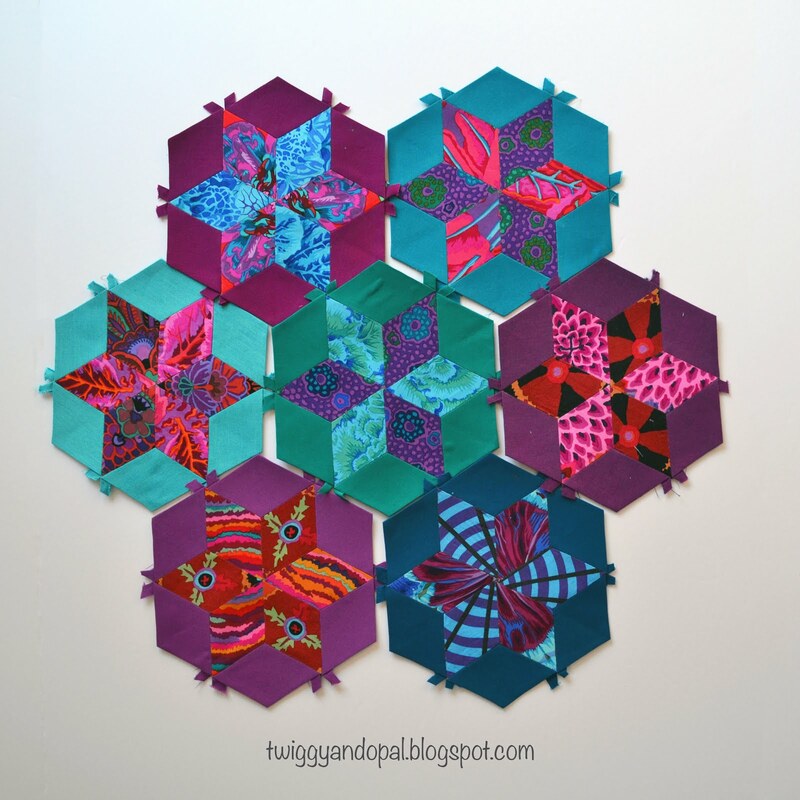 I wasn't sure what I wanted to do with my hexies at the time, but I knew I wanted to do something. I was itching to do something! 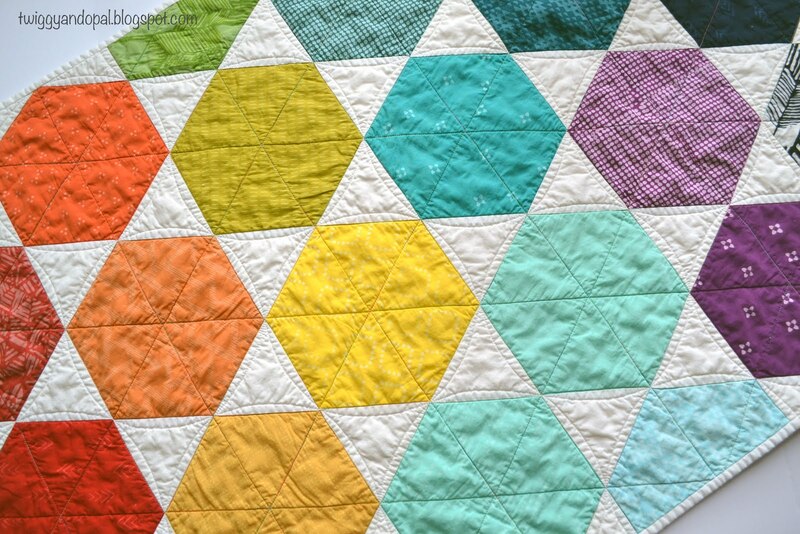 After perusing Pinterest for ideas and inspiration, I settled on this simple hexagon and triangle quilt. I like how the triangles make a star and surround each hexagon. I rummaged through the hexagons and pulled out all the colors I would need for a rainbow assortment. The triangles are Kona Snow that I had to cut before I could piece the blocks. 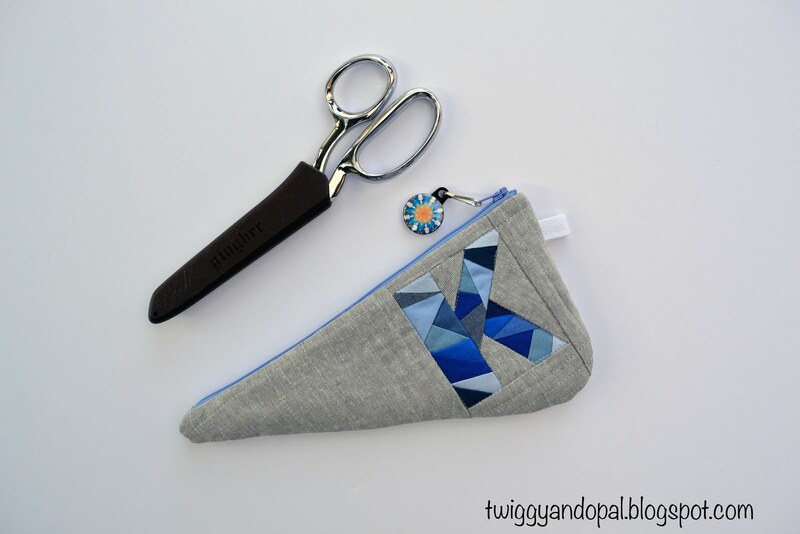 I used my triangle ruler and it went quick, plus it's a small quilt which always helps. 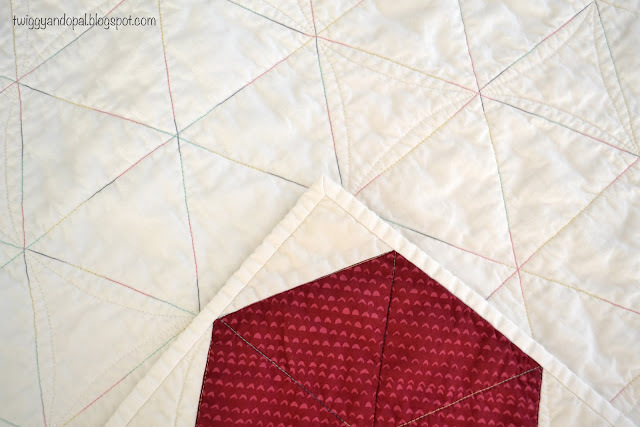 After sewing triangles to one edge and then the opposite edge I was able to arrange what I had. The blocks are sewn in rows diagonally. It was a bit confusing! If you go one row at a time, it's not bad. I did number my rows which helped me and my confusion immensely! Just like that, the quilt tip was trimmed and ready for finishing! Well, maybe not that quick. 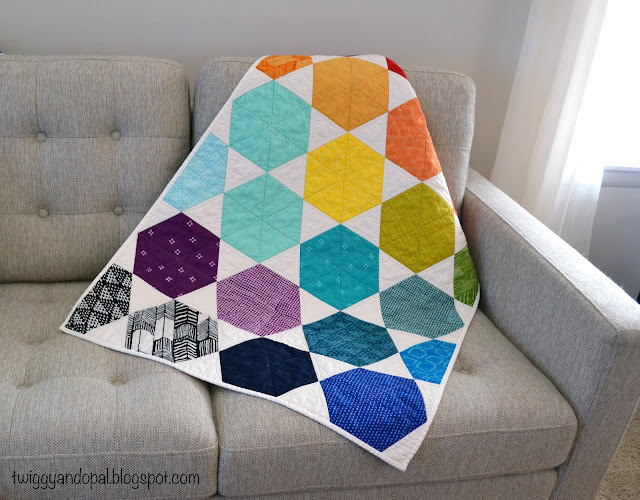 I did have to stew over how I was going to quilt it! I decided to quilt a pie! I wasn't about to color coordinate the thread with the hexies on this one! Instead I used a variegated thread. 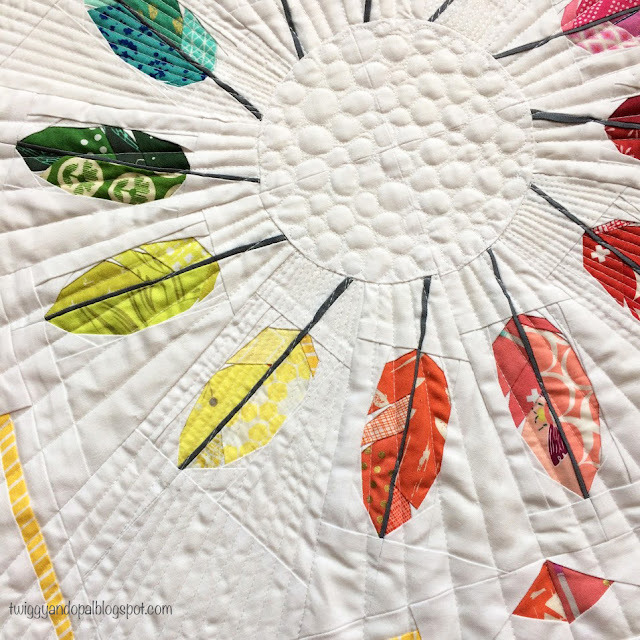 Aurifil Marrakesh (#3817) in 40wt was used for the 'pie lines'. 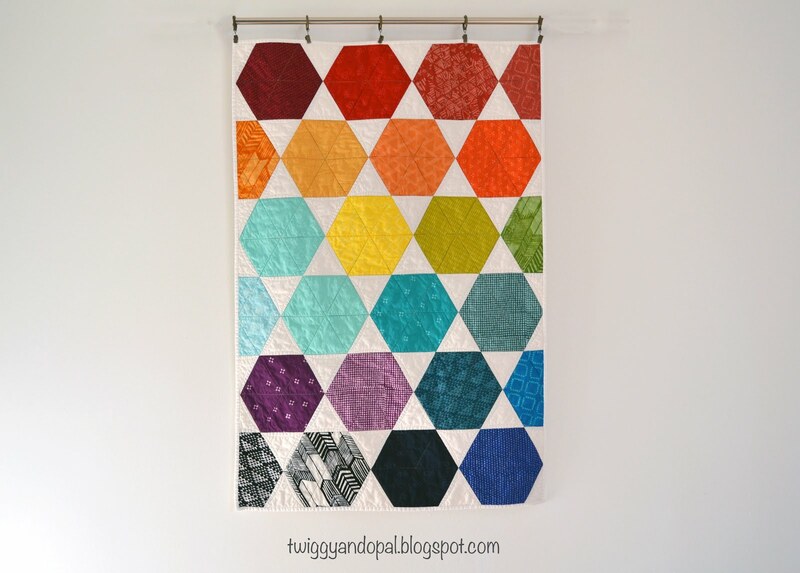 I think it suits this quilt perfectly. I really had to restrain myself! 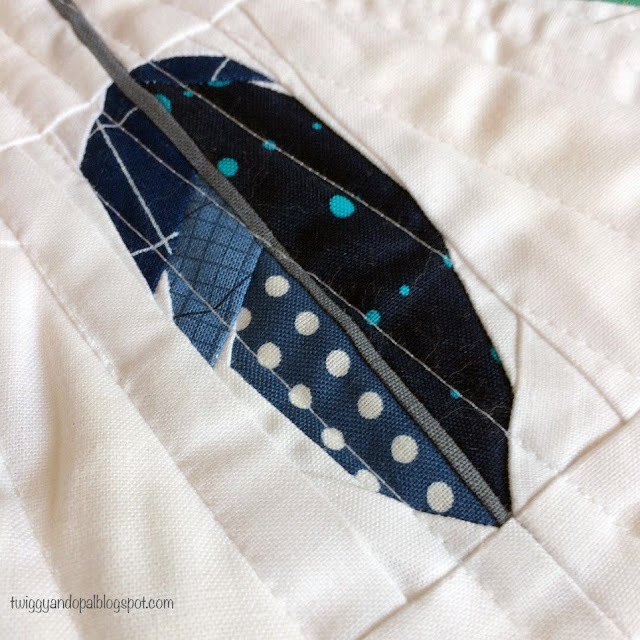 My instinct is to do dense quilting on most everything. Instead I kept it light. 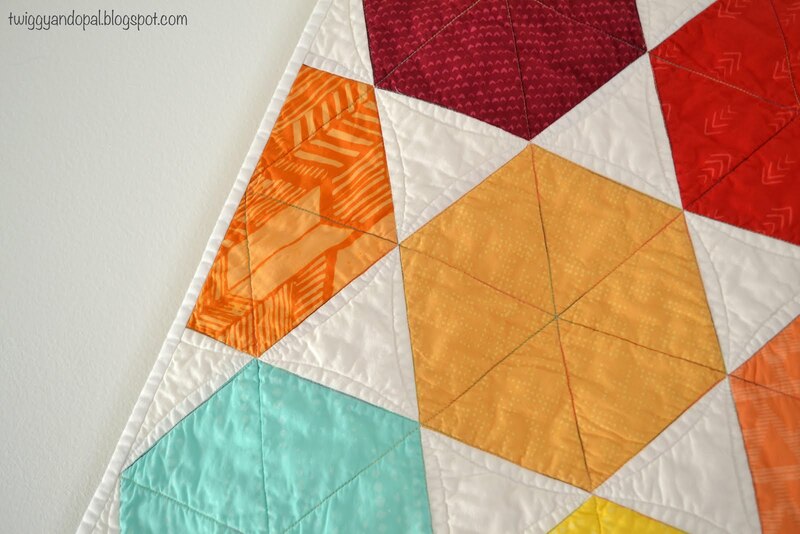 I added the curved 'orange peel' in the triangles using 50wt Aurifil Natural White (#2021) and called it done! You can see the variegated thread better on the back. 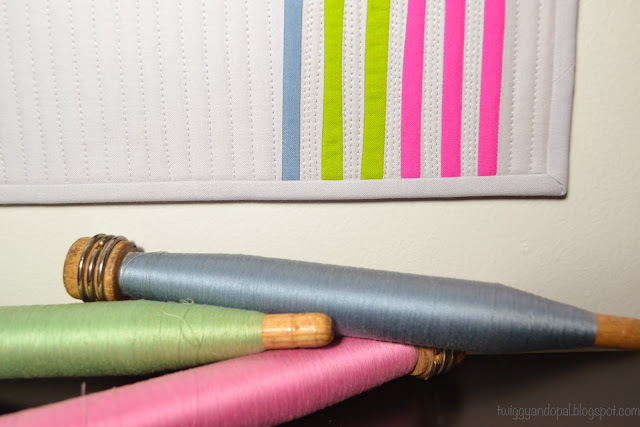 I've become a big fan of this thread when I don't feel like making numerous thread changes but want a rainbow! 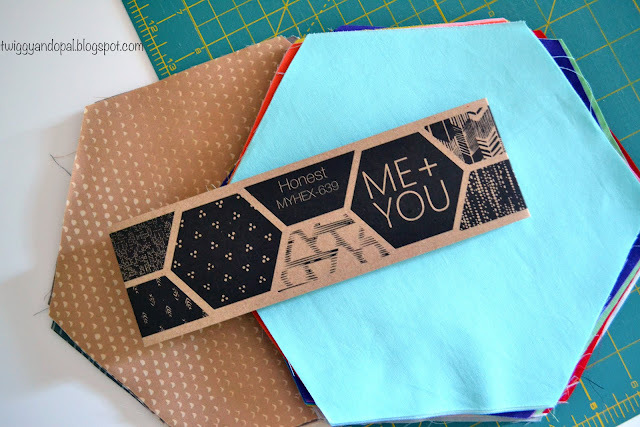 I still have a pack of Me + You Hexies to play with. I may try a different idea or keep with this say design. There are a lot of options! Have you made a hexagon quilt before? Don't be intimidated by them. This one was so very simple! Every year I look forward to our guilds Holiday Party! It's always been a blast of an event full of food, chatter and gifts. This year was no exception either! One of the highlights of our party is the Secret Santa gifts. We get our partner assigned to us a couple months ahead of time with a list of their likes and dislikes, and what they might love to receive. And like every year last minute sewing happens...even with the lengthy heads up! My partner requested some sort of bag...and my heart sunk! I don't make bags, I'm no good at it and given the choice I run the other way!! After thinking long and hard I decided I could never do a 'bag' justice and opted for a wall hanging instead. 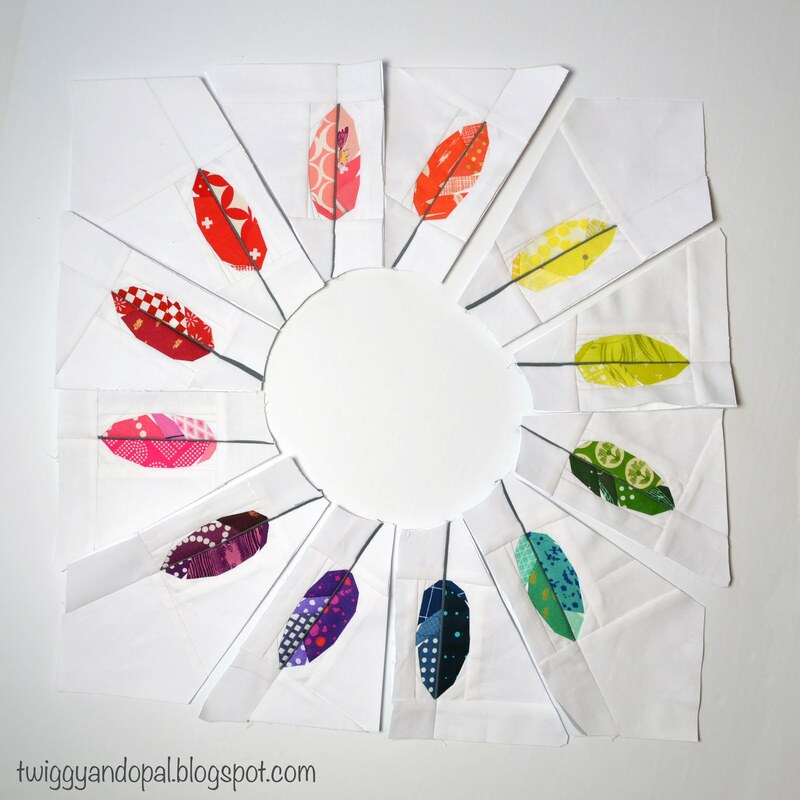 Because...who doesn't love a wall hanging full of fun and rainbows?! 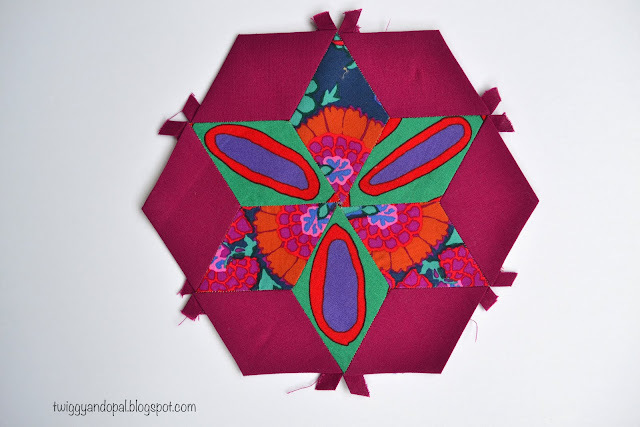 This was my opportunity to do some paper piecing, use rainbow fabric and make a pattern I've had on my list. 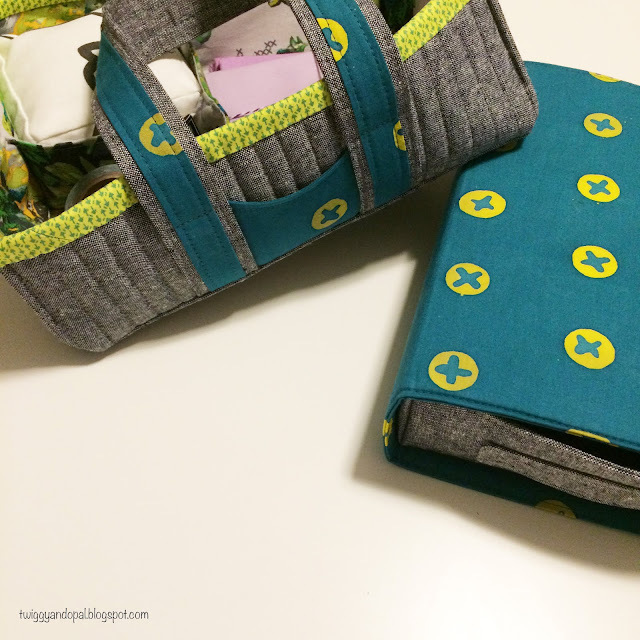 And secretly I was thinking it would make up for not making a bag! 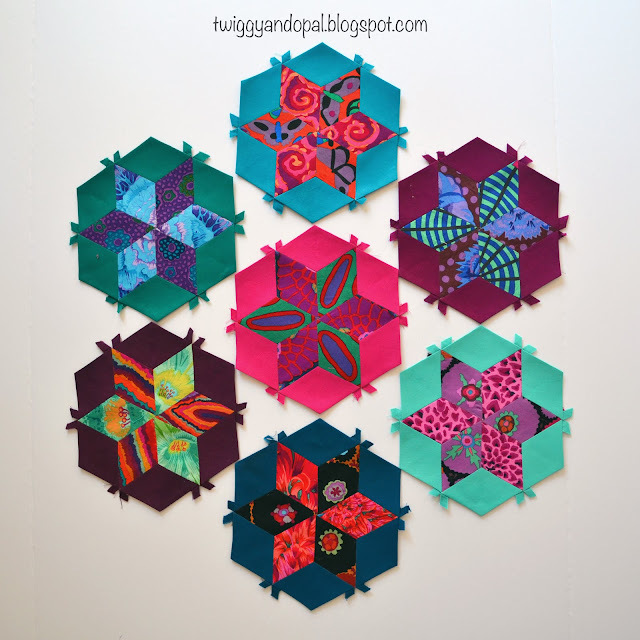 The pattern is from Quiet Play. I love her patterns just a lot! The Wreath of Feathers was an amazing adventure! I added the border above and beyond the pattern for a little more fun. Each feather has 24 pieces and took me nearly half an hour for each one. This was a very tedious process, but one I really did enjoy! Once I finished a feather I was so excited to figure out the next one...twelve times! Hows that for a pretty little wreath? 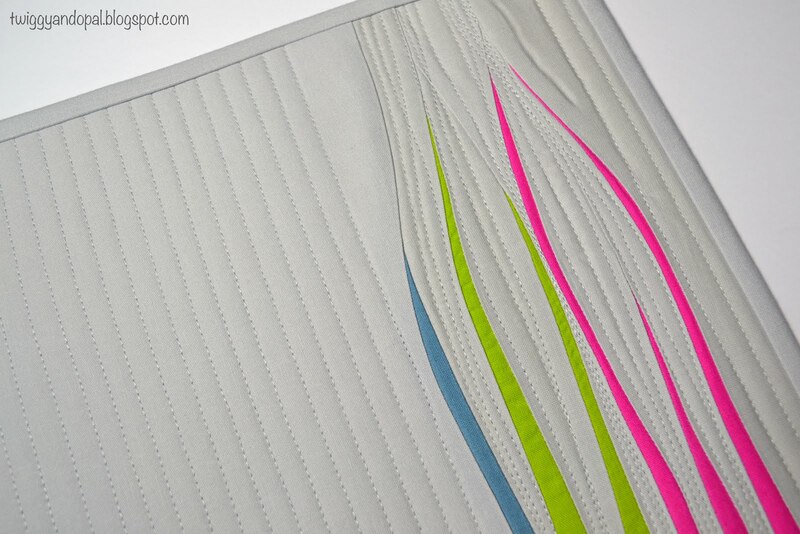 This pattern requires a tad bit of curve piecing AKA Drunkards Path. After all the paper piecing, that was a breeze! It all came together and I was pretty pleased with it. 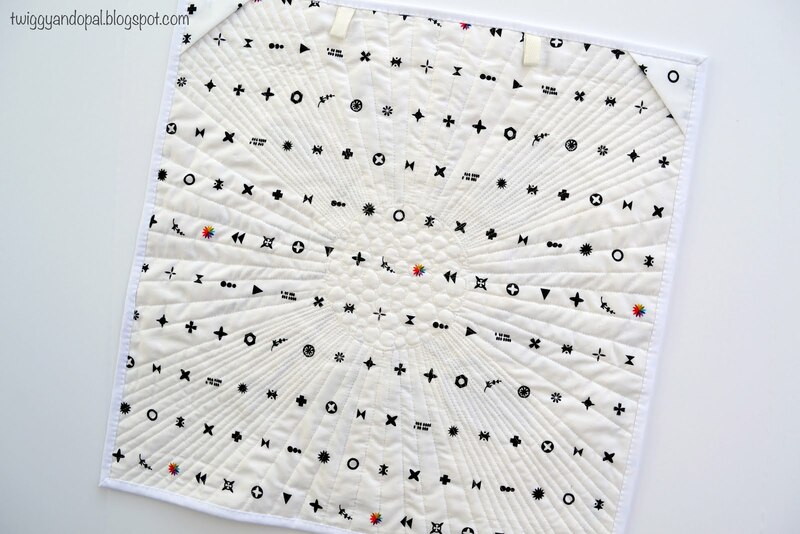 I quilted pebbles in the center using Aurifil # 2021 Natural White. The four corners have 1/4" straight lines and the rest is 1/2" straight lines. 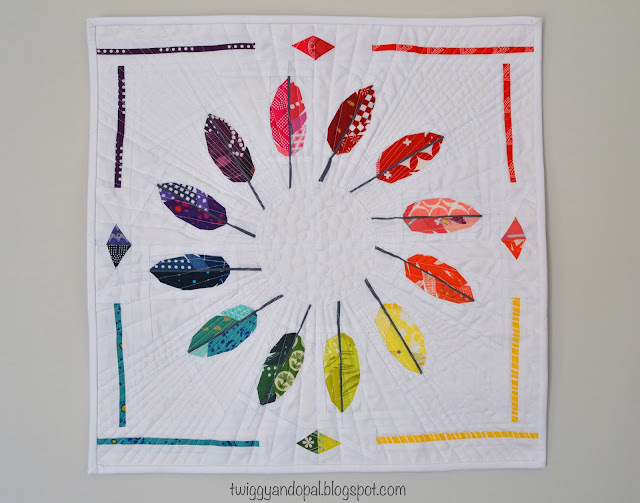 I wanted the quilting to radiate out like rays of sunshine. And I like it! 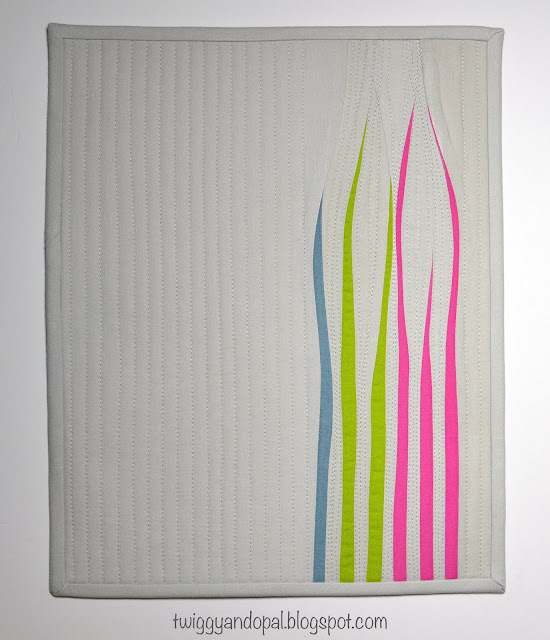 The front is Kona White and the back is Alison Glass 'Artifact'. Adding my usual hanging method on the back (hanging a mini quilt) finished it off and let me move on to a couple other gifts to add to the booty! 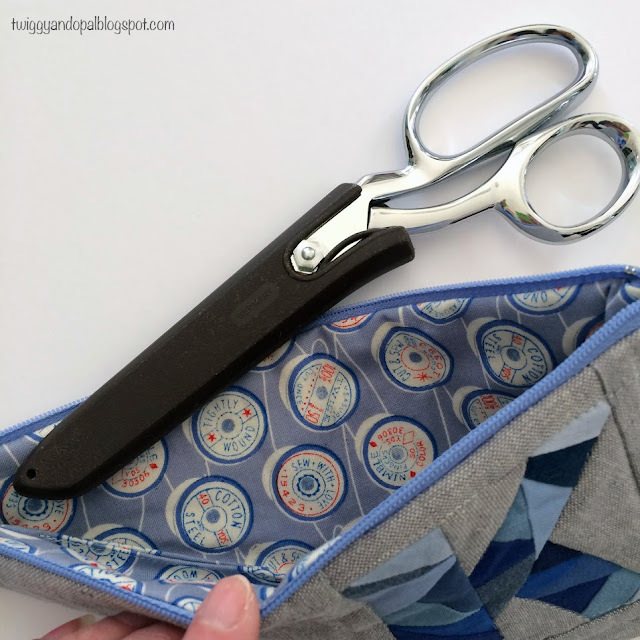 My partner also suggested a scissor pouch. That I can make. This would be my second one and I knew it was in my realm of expertise! This pattern is by S.O.T.A.K Handmade and is a free pattern! If I can...you can! I personalized it with my partners initial using another Quiet Play pattern. I did have to reduce the letter to 75% in order for it to fit on the pouch. 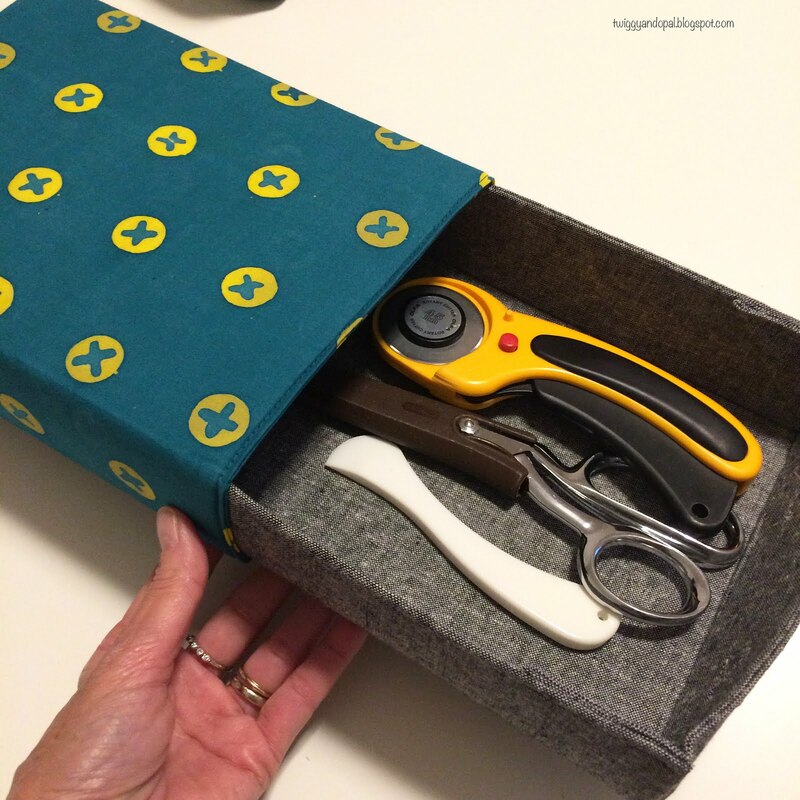 Cute lining, perfect zipper construction, amazing 'K' and it fits a big pair of scissors too! 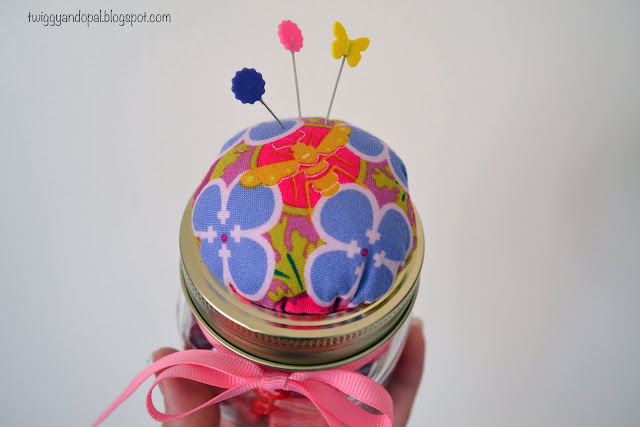 And lastly, I made a mason jar pincushion. Also a free pattern and simply simple to make. I did switch out the candy in the picture for red and green M&M's just to make it a bit more holiday-ish! All in all it was a successful bunch of goodies! However...I felt a little concerned early on when I was making these things for my partner. I had the feeling she wasn't going to show up. My intuition was right. What it meant was I no longer had a partner to give my gift to and someone else wasn't going to receive a gift from her. It was a let down and I felt terrible. Life happens and we sometimes cannot follow through with some commitments. I hope my partner is doing well and I wish her the best. Mostly I felt bad for Janet. She didn't get a Secret Santa gift. In the end, I gave her the gifts I made. They weren't specifically made for her and the 'K' is not a 'J', but I made the with love and hope that she will enjoy them none-the-less. I was the lucky partner of Jenny! (@tennjenny on IG) I've been in awe of her skills for as long as I've known her. I couldn't believe it when she handed the gift to me...I knew it would be amazing even before I opened it! Gorgeous! 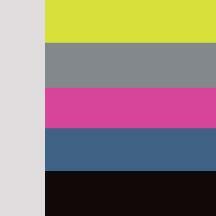 My favorite colors! This basket is going to be perfect for my hand sewing. 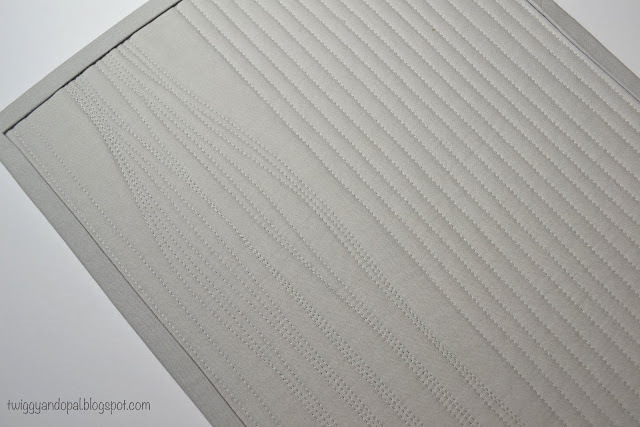 It has three sections, one of which is outfitted with a big pin cushion. 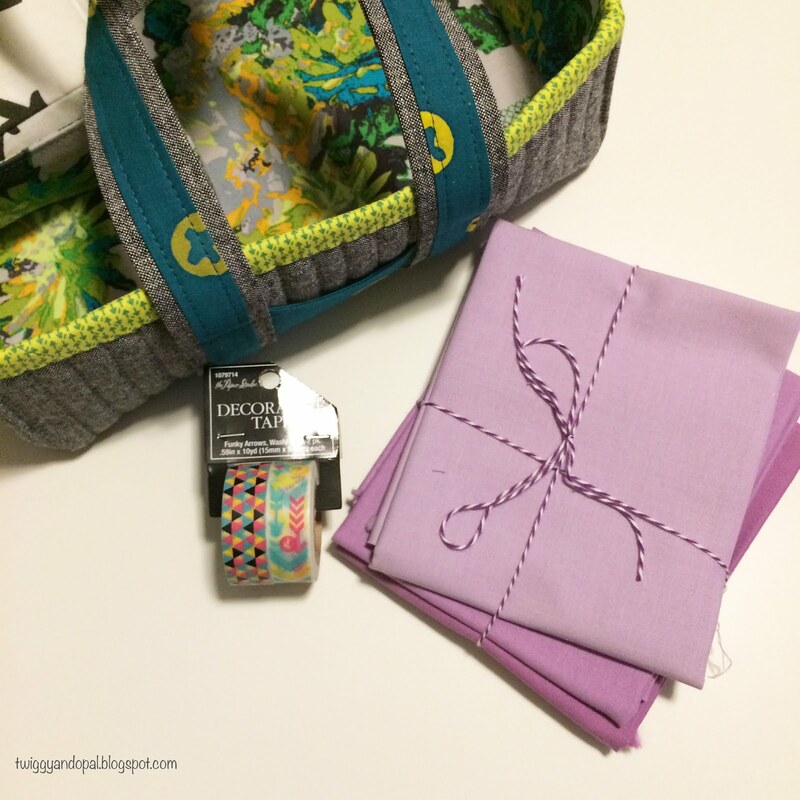 It was filled with pretty purple fabric. I'm ready for the Pantone Color of the Year 2018 - Ultra Violet now! 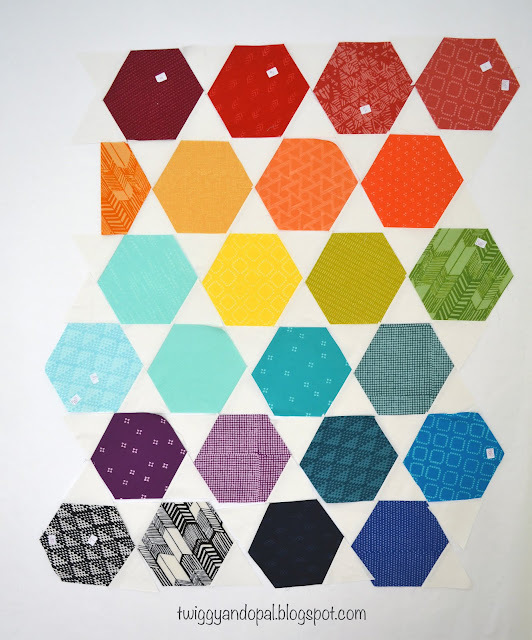 And lovely geometric Washi tape too! Jenny also made this amazing tray for me. 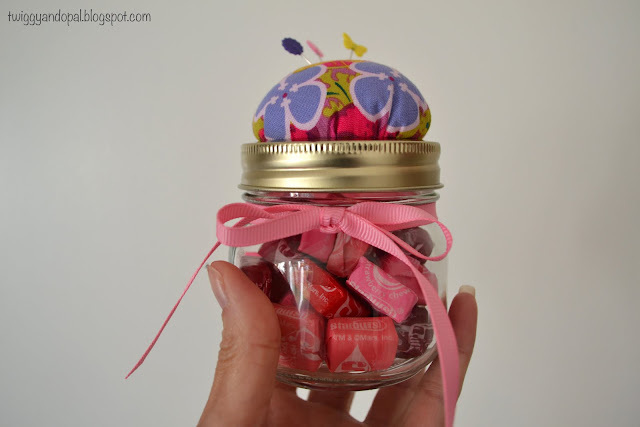 It was filled with candy...I did not eat it all...yet! I'm not sure if it'll be my treasure box, candy box or filled with tools of the trade. What ever it's used for it'll be used. Thank you Jenny for the beautiful gifts! I have always wanted a TennJenny creation! Also...thanks for sneaking behind my back and getting feedback from my daughter! 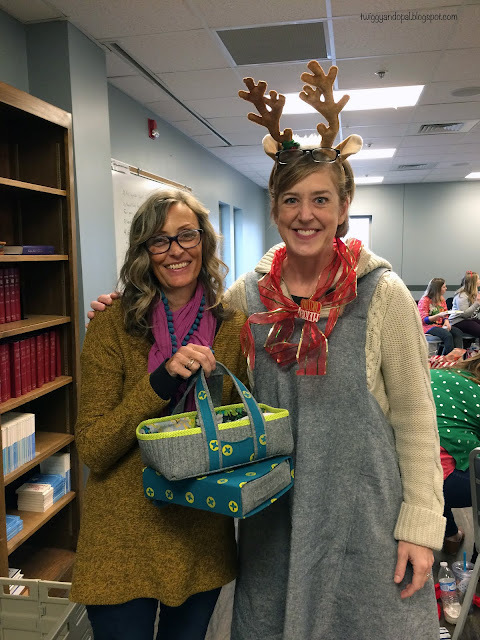 I couldn't believe all the amazing gifts that were exchanged. Talk about talent! Are you having special Secret Santa gift giving this year?! Do you feel pressure when deciding what to make?